Stadol NS is the nasal spray for butorphanol tartrate is an aqueous solution which is formulated to be administered in form of a metered spray to the nasal mucosa. The active ingredient butorphanol tartrate present in this preparation is chemically similar to morphine and is a synthetic partial agonist opioid analgesic. Stadol NS is a prescription only product and belongs to class IV of federally controlled drug list. This analgesic drug is primarily used in the treatment for relief of mild to severe pain such as migraines. A single bottle of Stadol NS has 2.5ml of a 10mg/ml solution of butorphanol tartrate. In addition to the active ingredient, others substances which were present in this formulation included sodium chloride, citric acid and benzothenium chloride added in purified water. Sodium hydroxide and hydrochloric acid were include to adjust the pH of the aqueous solution to 5.0. 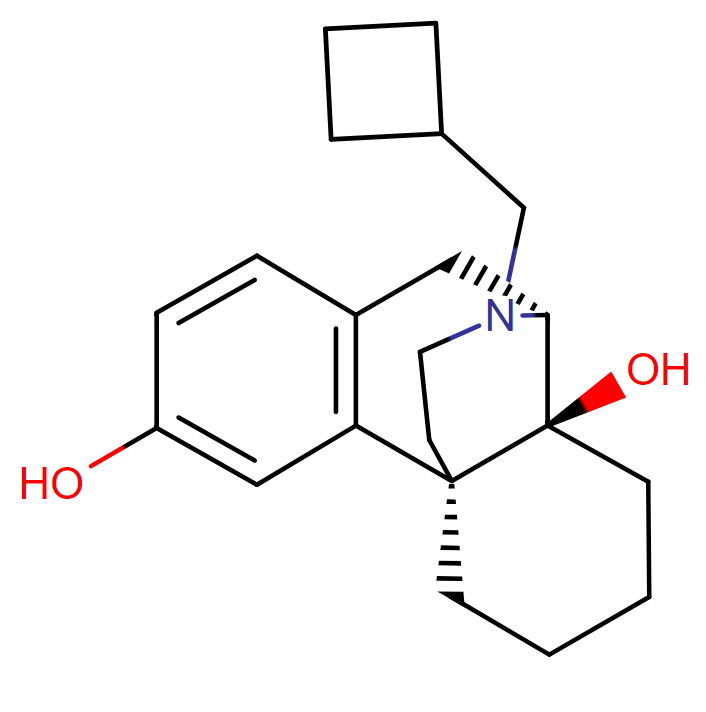 The active compound butorphanol which is present in Stadol NS is a opioid partial agonist from the phenantherene series. Butorphanol is usually present as tartrate salt and happens to occur as a crystalline powder form which is white in color. The dose of Stadol NS is articulated as tartrate salt. Drug class: This compound belongs to the class of organic compounds known as phenanthrenes and derivatives. These are polycyclic compounds containing a phenanthrene moiety, which is a tricyclic aromatic compound with three non-linearly fused benzene. What is the mechanism of action of Stadol NS? Stadol NS contains butorphanol which a synthetically derived opioid partial agonist painkiller. This compound has shown specificity against kappa receptors as agonists and simultaneously with comparatively less intrinsic activity at mu receptors either being a partial agonist or being a combined agonist-antagonist. Butarphanol is an opioid which are considered typically morphine receptor type. Opioids stimulate selective opioid receptors which are termed as mu, kappa and delta receptors and in turn exert their actions. Mu receptors have the greatest similarity with morphine like receptors. When these receptors are stimulated it causes respiratory depression, supraspinal analgesia, physical dependence and euphoria. When the kappa receptors are stimulated it causes miosis, sedation and analgesia. Usually the stimulation that takes place at mu receptors when butorphanol is administered; a lesser degree of respiratory depression is produced and produces a decreased risk of developing physical dependence as compared to morphine. Stadol NS is administered via intranasal route for the treatment of migraines. Wide distribution of butorphanol and its metabolites have been observed. An approximate volume of distribution for butophanol tartrate is 305 to 901 liters. This drug has shown penetration in the blood-brain barrier and placental barrier. Stadol NS has been also detected in the breast milk. Approximately 80% of the drug is binded to proteins. Butorphanol has been reported to show extensive metabolism. Major metabolite produced is an inactive compound, hydroxybutorphanol. These reactions included N-dealkylation and conjugation. However, no analgesic activity is observed for the metabolites which are produced during the first pass. Butorphanol in Stadol NS is eliminated via the kidney in form of urine and feces. Major portion of the active is excreted in form of inactive metabolites through kidneys and only a small portion of about 5% is excreted as unchanged parent drug. It has been documentated that the analgesic effect in migraines is observed within 15 minutes after the intranasal administration of Stadol NS. However, a delay might take place when the drug is co-administered with another drug (mostly a nasal vasoconstrictor). When Stadol nasal spray is administered, longer duration of analgesic action of about (4 – 5 hours) occur. When 1 mg dose of Stadol NS is given to the patient, maximum plasma concentrations are observed with 30 – 60 minutes after the nasal spray of Stadol NS is administered and an absolute bioavailability of 60 – 70%. What are the possible side effects of Stadol NS? On using Stadol NS, the most commonly occurring side effects which were observed are nasal congestion and insomnia. In approximately about 1% of the population the following side effects were documented. Clammy appendages, excessive sweating and pruitis. Blurred vision, unpleasant taste, tinnitus, ear pain. Hypotension, syncope, tachycardia and chest pain. Stadol NS contains a synthetically produced opioid analgesic which is widely used in migraines. This active belongs to FDA classified pregnancy risk category C.
It is recommended by the manufacturers to use Stadol NS in pregnant females with great care, only when the advantages are more in comparison with the possible risks to the mother and fetus both. The premature neonates are at a higher risk of developing respiratory depression and suffering from apnea whose mothers have used Stadol NS frequently during their pregnancy and just before the delivery. Use of Stadol NS for chronic periods by the mother has also resulted in neonatal opioid withdrawal syndrome (NOWS). This syndrome in severe cases has reported to be life threatening. The management for this syndrome included pharmacological therapy which was similar to that given in neonatal opioid withdrawal. The physicians should monitor the neonates for any possible withdrawal symptoms. The severity of the withdrawal symptoms, onset and duration of action often diverge depending on the strength of the opioid used, duration of therapy, frequency of the drug being administered to the mother and even the rate by which the drug is eliminated from the child’s body. No confirm data is yet available for the presence of drug after being administered via intranasal route. However, according to data which is released by the manufacturer, it is stated that the amount of drug transferred to infant from the breast milk is clinically insignificant. However, it is important to immediately report to the healthcare provider if the occurrence of any unwanted effect is seen in the breastfeeding infant which is associated with the drug administered by the mother. 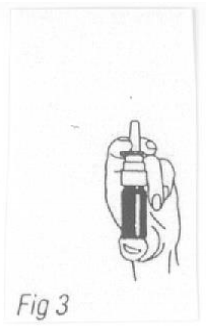 In adults for moderate pain, the normal recommended dosage is 1 mg (1 spray) administered into a single nostril. If the pain is not relieved within 60 – 90 minutes after the first administration, spray another 1 mg in the second nostril. It is allowed to repeat this 2 dose sequence with a gap of approximately 3 – 4 hours between 2 successive doses. In adults for severe pain, the normal recommended dosage is 1 mg (1 spray) administered into the each nostril, making 2 mg as the starting dose. It should be kept in view that Stadol NS can make the patient go drowsy with this dose, thus it is necessary to not to administer more than 2 mg in 3 – 4 hours. In geriatrics, the normal recommended dosage is 1 mg (1 spray) administered into a single nostril. If the pain is not relieved within 90 – 120 minutes after the first administration, spray another 1 mg in the second nostril. The frequency by which drug is administered should be individualized but in elderly patients, a gap of 6 hours is necessary between 2 consecutive doses. Are there any dosing considerations present for using Stadol NS? The active present in Stadol NS is extensively metabolized via hepatocyes and eliminated via urine and feces both. Any irregularity in the normal functioning of these systems would adversely affect the concentrations of Stadol in the plasma. In patients, whose hepatic and renal system is impaired, it is suggested to modify the dose. The intranasal administration of Stadol should not be greater than 1 mg followed by 1 mg if migraine pain is not affected within 90 – 120 minutes. In such patients, the repeating sequence should be performed with a time gap of minimum 6 hours. What happens if I overdose Stadol NS? When the intensity or frequency of occurrence of migraine headache increases, patients usually start to take higher doses at a time. Taking high doses or using Stadol NS for chronic periods can produce clinical features which are similar to those of other opioid drugs. The symptoms which take place majorly depend on the amount of drug ingested and the response of the patient’s body to that amount. In severe cases hypoventilation, cardiovascular paucity, coma and death can occur. However in children, Stadol overdose can happen due to accidental or intentional ingestion from the first dose. How to treat overdosage of Stadol NS? The initial management of overdose of Stadol NS consists of maintaining sufficient ventilation, protecting the airway from the aspiration of gastric contents, maintaining the body temperature within normal range and maximizing peripheral perfusion. Such a patient should be under uninterrupted monitoring of responsiveness, mental state of the patient and other vital signs. In case of respiratory depression, oxygen and ventilatory support must be used. Pulse oximetry should be constantly monitored. If the patient is in the state of coma, artificial airway should be inserted immediately. A satisfactory intravenous path must be maintained to assist in the treatment of hypotension. Naloxone is the antidote for opioid toxicity. It antagonizes the effects of opioids. The adverse effects from overdosing of Stadol NS can be rapidly reversed on using this drug. Butorphanol has a longer duration of action as compared to naloxone, so it is advised to administer the antidote repeatedly. All the opioids have the potential of being abused. 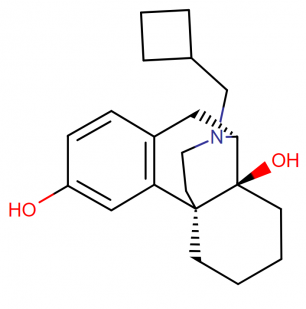 Butorphanol is also a synthetically derived opioid partial agonist thus having the possibility of being abused. Death can occur when Stadol NS is overdosed due to the fact that it can severely depress the respiratory system. Addiction is reported in even those patients who were prescribed appropriately. Patients who have been suffering from any kind of mental illness (depression) or even have a past family history of drug/ substance abuse can quickly get addicted to Stadol NS. It is therefore advised to supervise these patients for any chances of addiction, abuse or misuse just before prescribing any opioid and also those who are using opioids and routinely face changes in behavior or conditions. Drug abuse and drug addiction are completely two different things and are even dissimilar from tolerance and physical dependence. It is not a compulsion that patients who are addicted to drugs do not show tolerance and exhibit symptoms of physical dependence. Both tolerance and physical dependence can develop during chronic opioid therapy. Tolerance is the need for increasing doses of opioids to maintain a defined effect such as analgesia (in the absence of disease progression or other external factors). Tolerance may occur to both the desired and undesired effects of drugs, and may develop at different rates for different effects. Physical dependence results in withdrawal symptoms after abrupt discontinuation or a significant dosage reduction of a drug. Withdrawal also may be precipitated through the administration of drugs with opioid antagonist activity (e.g., naloxone, nalmefene), mixed agonist/antagonist analgesics (pentazocine, Butorphanol, nalbuphine), or partial agonists (buprenorphine). Butorphanol tartrate should not be abruptly discontinued. If Butorphanol tartrate is abruptly discontinued in a physically-dependent patient, a withdrawal syndrome may occur. Some or all of the following can characterize this syndrome: restlessness, lacrimation, rhinorrhea, yawning, perspiration, chills, myalgia, and mydriasis. Other signs and symptoms also may develop, including: irritability, anxiety, backache, joint pain, weakness, abdominal cramps, insomnia, nausea, anorexia, vomiting, diarrhea, or increased blood pressure, respiratory rate, or heart rate. Stadol NS should be prescribed to patients having adrenal insufficiencies with great care as these are more vunerable to suffer from unwanted side effects. Butophanol is reported to decrease the secretion of adenocorticotropic hormone (ACTH), luteinizing hormone (LH) and cortisol and either increases or decrease the production of thyroid stimulating hormone. Such patients should immediately report to the healthcare provider on the occurrence of any drug associated symptoms such as loss of appetite, fatigue, weakness, hypotension, dizziness, nausea and vomiting. If adrenocortical insufficiency is suspected during the therapy, it should be confirmed with diagnostic testing immediately. On the confirmation of the insufficiency opioids should be withdrawn gradually and instead physiological replacement with corticosteroids is necessary. Chronically using opioids such as butorphanol in Stadol NS may incite the symptoms of hypogonadism. Patients having a past family medical history should be regularly monitored. Can patients with liver or renal disease take Stadol NS? Narcotic (opioid) analgesic agents such as butorphanol may have active metabolites that are further converted to inactive substances. The serum concentrations of these agents and their metabolites may be increased and the half-lives prolonged in patients with impaired hepatic function. Therapy with opioids should be administered cautiously and initiated at reduced dosages in patients with liver disease. Subsequent doses should be titrated based on individual response rather than a fixed dosing schedule. Although narcotic (opioid) analgesic agents are generally metabolized by the liver, renal impairment can alter the elimination of these agents and their metabolites (some of which are pharmacologically active), resulting in drug accumulation and increased risk of toxicity. Therapy with opioids should be administered cautiously and initiated at reduced dosages in patients with significantly impaired renal function. Subsequent doses should be titrated based on individual response rather than a fixed dosing schedule. Which drugs interact with Stadol NS? The interaction between benzodiaepines and Stadol NS is reported to be a major interaction. When these are both administered concurrently it leads to extreme respiratory depression, sedation, hypotension and death. It is necessary to limit the use of either drug and should only be prescribed when no alternate treatment regimens are available. When the concomitant use is mandatory, it is recommended to prescribe the lowest possible effective dose which can produce the desired clinical outcome. The dose of benzodiazepines should be gradually decreased and then stopped in cases it is prescribed for epileptic seizures. A moderate degree of drug interaction is observed with anti-cholinergic agents such as atropine. It is necessary to keep a constant check on the patient and observe for any signs of decreased gastric motility or urinary retention. When opioids are used in combination with atropine, chances increase of developing severe constipation which in some cases progress to paralytic ileus. Opioids are responsible for increasing the tone and reducing the propulsive contractions of smooth muscles which are present in the gastrointestinal tract. According to the studies conducted, a possible mechanism behind the constipating effects of butorpanol is the extending of the gastrointestinal transit time. How to use Stadol NS nasal spray? Make sure the nose is clean. To do this it is necessary to blow the nose first. Pull the cover from the pump unit of Stadol NS. Carefully take away the protective clip. Just before using the product for the first time, it is important to prime the pump unit. This is done by pumping the sprayer firmly and rapidly until a fine mist of spray appears. About 4 to 5 strokes are done in this step. 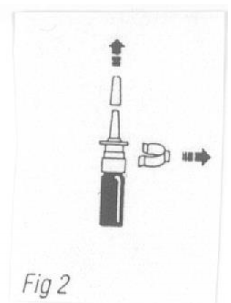 Once the sprayer has been primed, insert the tip of the spray bottle to about 1 cm of the single nostril at a time. 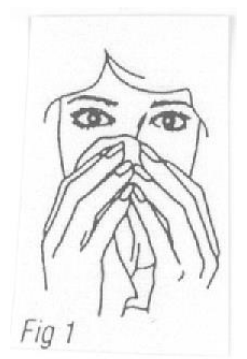 Using the forefinger, close the other nostril and pump the spray. When the pumping frequency is prescribed as 2 spray doses, following the step 4, repeat the procedure in the second nostril. May Stadol NS cause hypertension? Butorphanol may increase blood pressure and rarely causes severe hypertension. Therapy with butorphanol should be administered cautiously in hypertensive patients, particularly when given before surgery or anesthesia. Patients with hypothyroidism may have increased risk of respiratory depression and prolonged CNS depression associated with the use of narcotic (opioid) analgesic agents. These agents may also exacerbate the effects of hypothyroidism such as lethargy, impaired mentation, depression, and constipation. Therapy with opioids should be administered cautiously and initiated at reduced dosages in patients with uncontrolled hypothyroidism or myxedema. Subsequent doses should be titrated based on individual response rather than a fixed dosing schedule. Can I drink alcohol while using Stadol NS? Do not use alcohol or medications that contain alcohol while you are receiving treatment with butorphanol. This may increase nervous system side effects such as drowsiness, dizziness, lightheadedness, difficulty concentrating, and impairment in thinking and judgment. In severe cases, low blood pressure, respiratory distress, fainting, coma, or even death may occur. With certain long-acting formulations of narcotic pain medication, consumption of alcohol may also cause rapid release of the drug, resulting in high blood levels that may be potentially lethal. Talk to your doctor or pharmacist if you have questions on how to take this or other medications you are prescribed. Do not use more than the recommended dose of butorphanol, and avoid activities requiring mental alertness such as driving or operating hazardous machinery until you know how the medication affects you. It is important to tell your doctor about all other medications you use, including vitamins and herbs. Do not stop using any medication without first talking to your doctor. Additional information provided to the patients using Stadol NS? When Stadol NS has not been used for the previous 48 hours or even longer, the sprayer of Stadol should be again primed with at least one stroke. It should be kept in view, that each time the sprayer bottle is primed, a decrease in the number of efficient doses per bottle occurs. Same spray bottle should not used by more than one user or anyone beside who is prescribed with this medicine. As soon as the treatment is finished with Stadol NS, it is important to discard the bottle. The safest way to discard the product is by taking the cap off the bottle, rinse with ample quantity of water and then dispose them off in the waste.